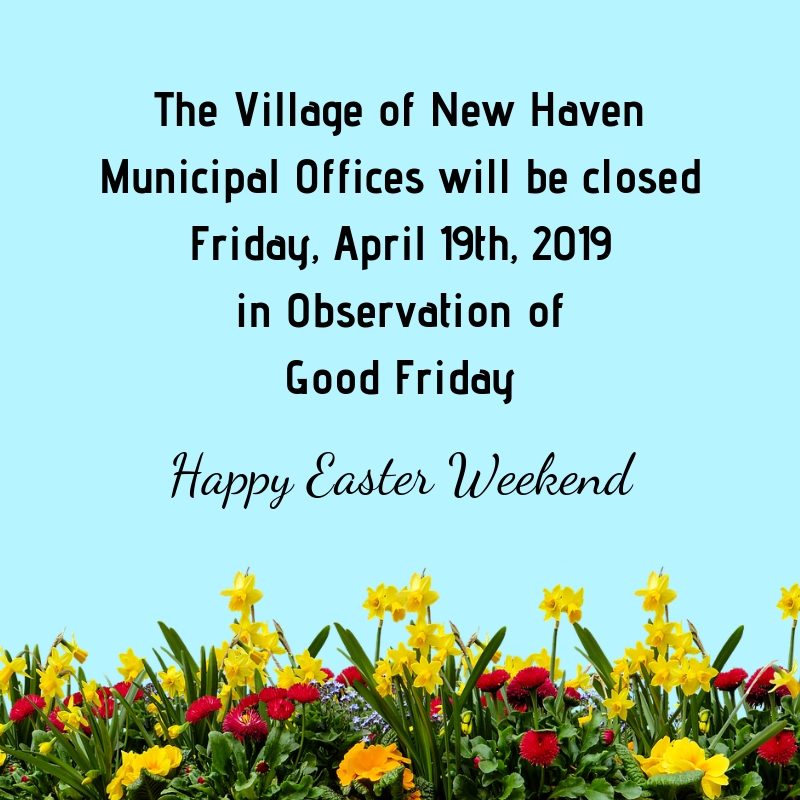 The Village of New Haven 2017 Water Report (CCR) is now available for viewing. Pleace click here to view full report. 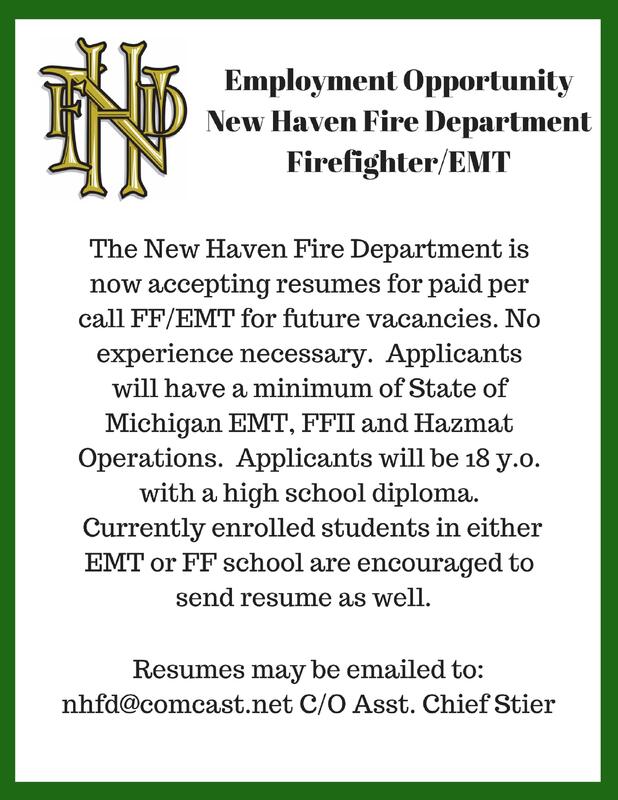 New Haven Fire Department is currently seeking applicants for the position of FF/EMT. 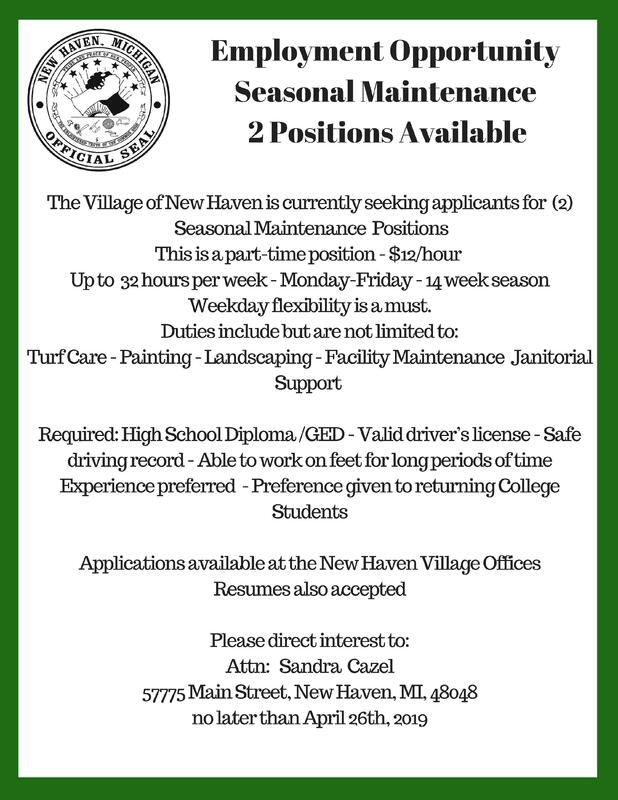 To view full requirements click here.